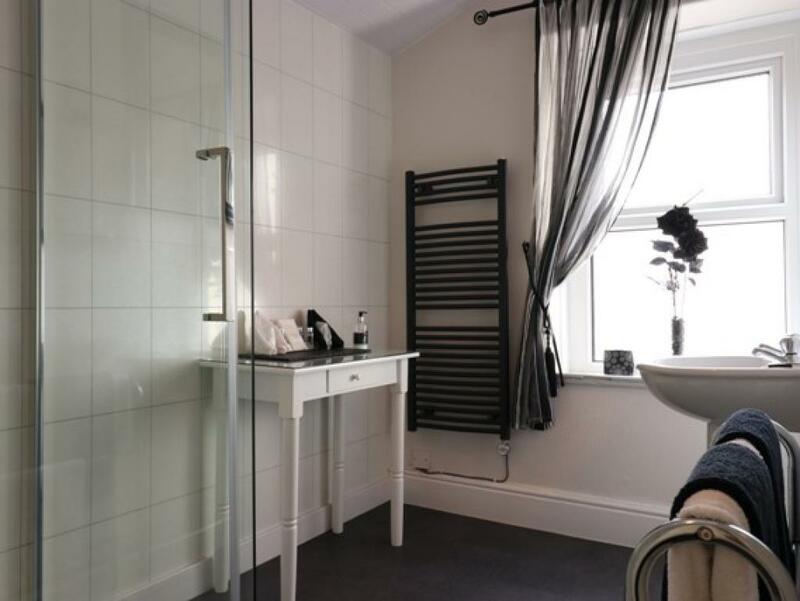 Furnished to a high standard, the Adcote Suite offers a double bedroom with a separate sitting room and en-suite shower room, all located on the first floor and approx 31m2. The bedroom has a super-king size bed, flatscreen TV, clock-radio, space heating, hairdryer and writing table and chair, while the sitting room has armchairs, flatscreen TV with DVD player, i-pod player, fridge, tea and coffee making facilities, wine cooler and glasses, a selection of books and DVDs, and a “real flame” effect fire. Complimentary wi-fi, eco-friendly toiletries and bathrobes are also provided. 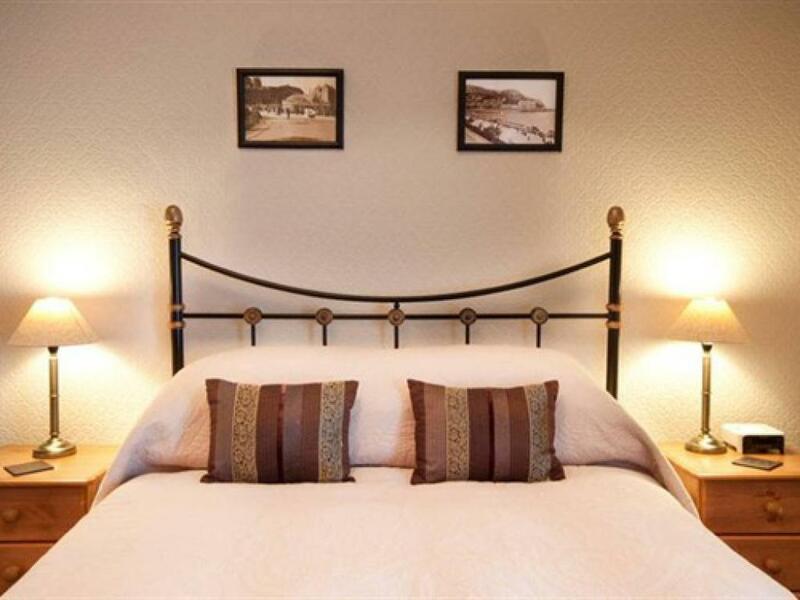 Comfortable and cosy, the Snowdon Suite offers a double bedroom with a separate sitting room and en-suite shower room, all located on the third floor and approx 24m2. The bedroom has a king size double bed, flatscreen TV, clock-radio, space heating and hairdryer, while the sitting room has armchairs, writing table with chair, flatscreen TV with DVD player, a selection of books and DVDs, i-pod player, fridge, space heating and tea and coffee making facilities. Complimentary wi-fi, eco-friendly toiletries and bathrobes are also provided. 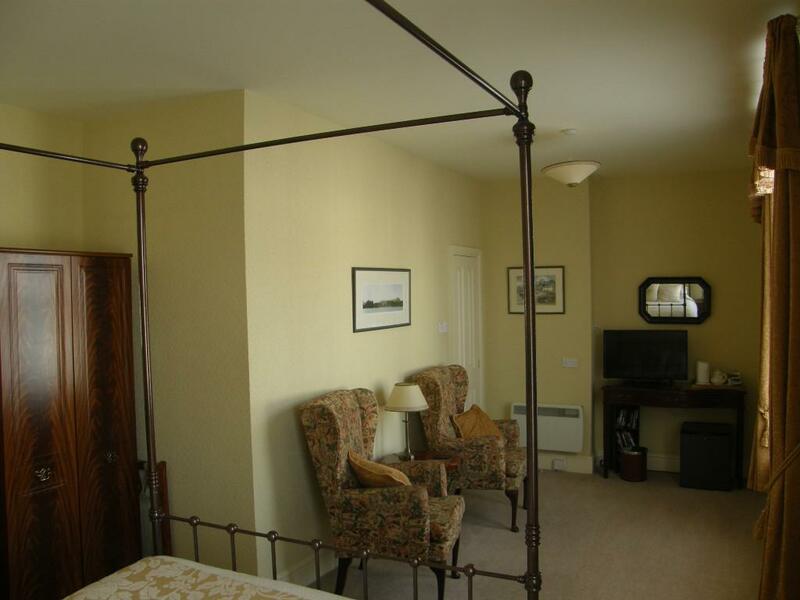 New for 2017 Conwy Studio now features a king size four-poster bed. 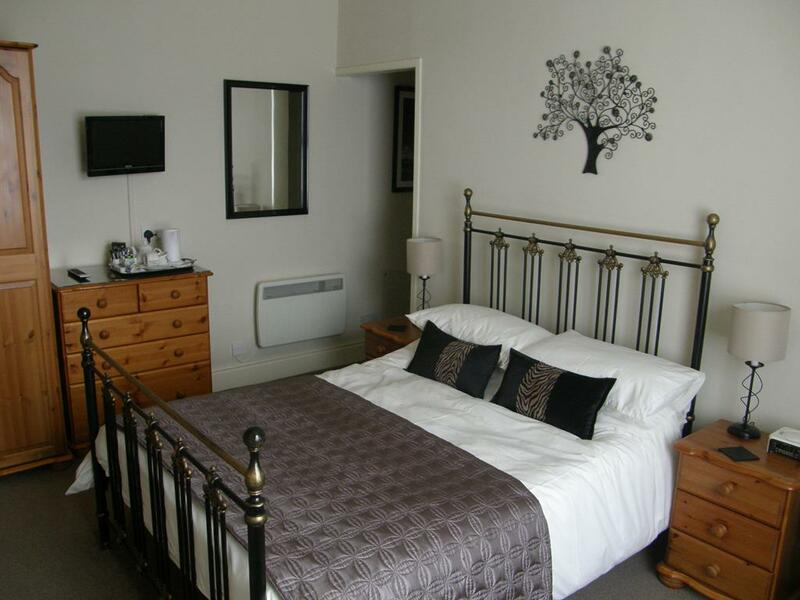 Pleasant and spacious, the Conwy Studio offers a double bedroom with sitting area and en-suite shower room, all located on the second floor and approx 24m2. The sleeping area has a clock-radio and hairdryer and the sitting area has armchairs, writing table, flatscreen TV with DVD player, a selection of books and DVDs, i-pod player, fridge, space heating and tea and coffee making facilities. 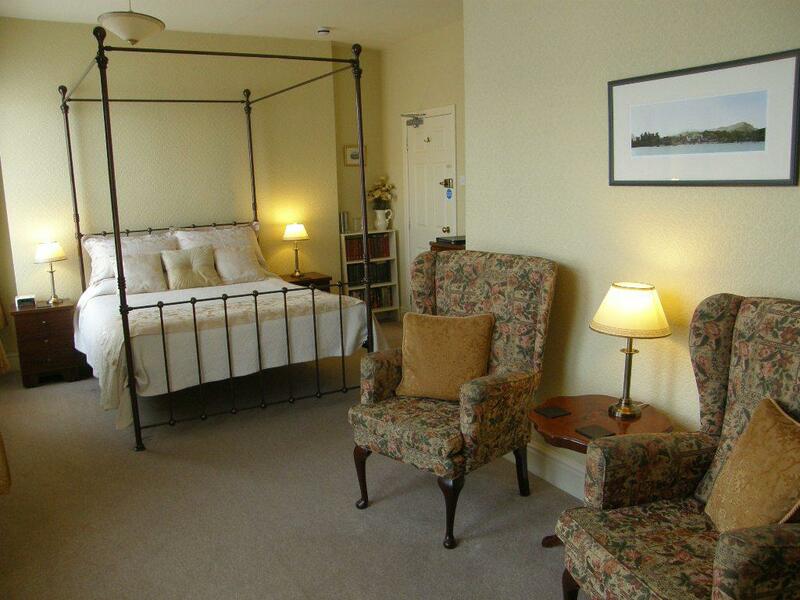 Complimentary wi-fi, eco-friendly toiletries and bathrobes are also provided. 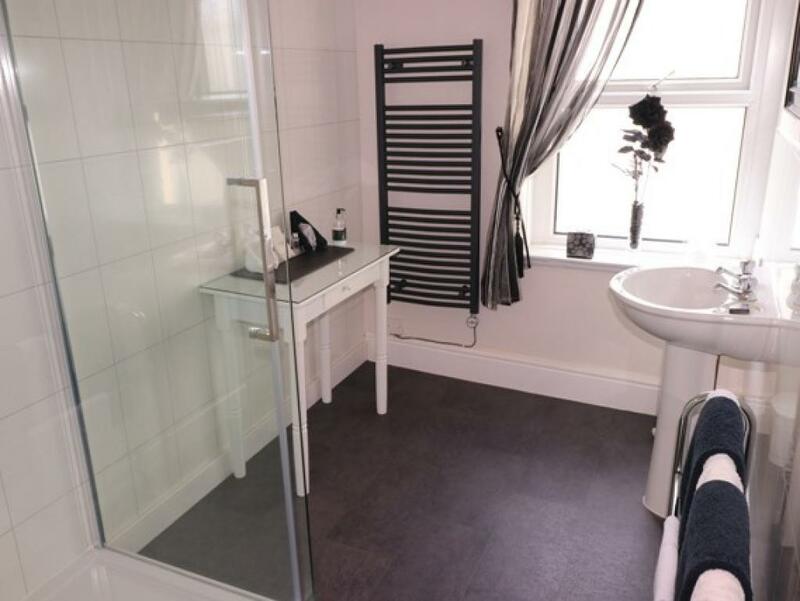 A superior, roomy bedroom for two people, with en-suite shower room and separate WC, all on the first floor and approx 27m2. 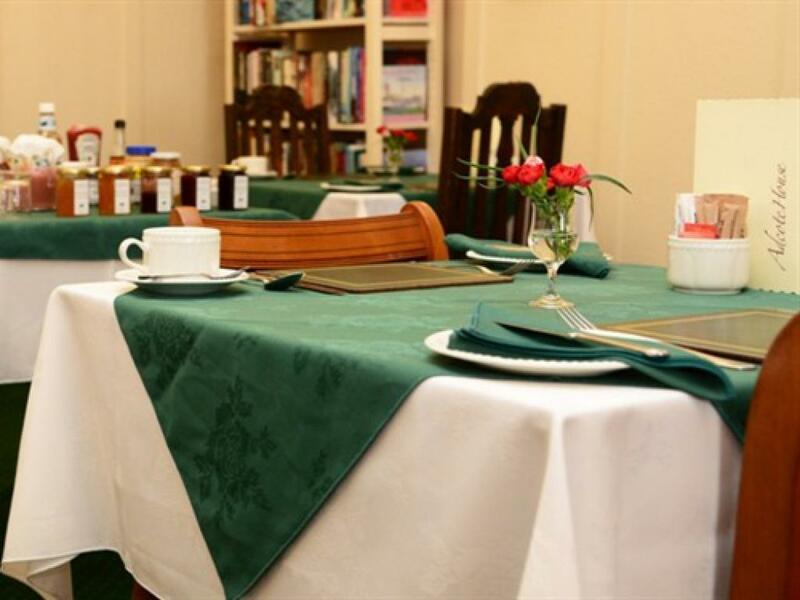 The room provides a writing table and chair, flatscreen TV with DVD player, clock-radio, hairdryer, space heating, fridge, tea and coffee making facilities and chairs and an occasional table. 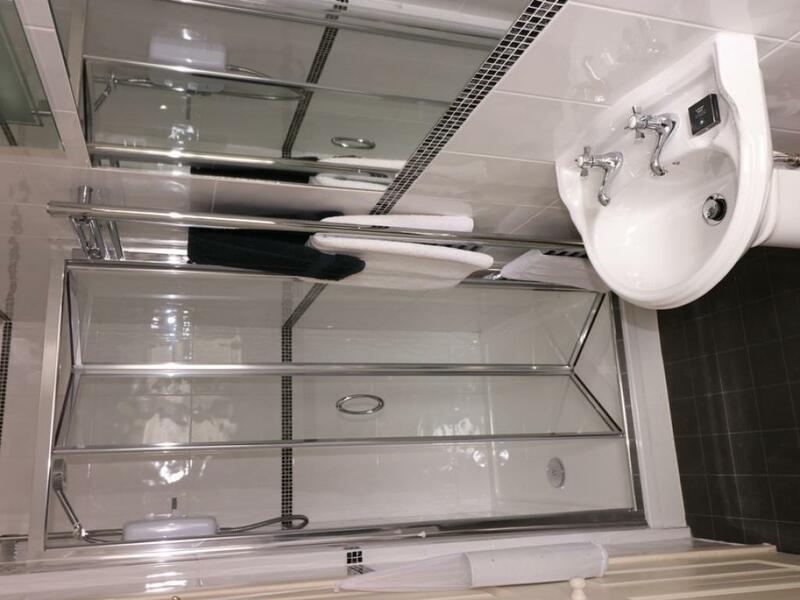 Complimentary wi-fi and eco-friendly toiletries are also provided. 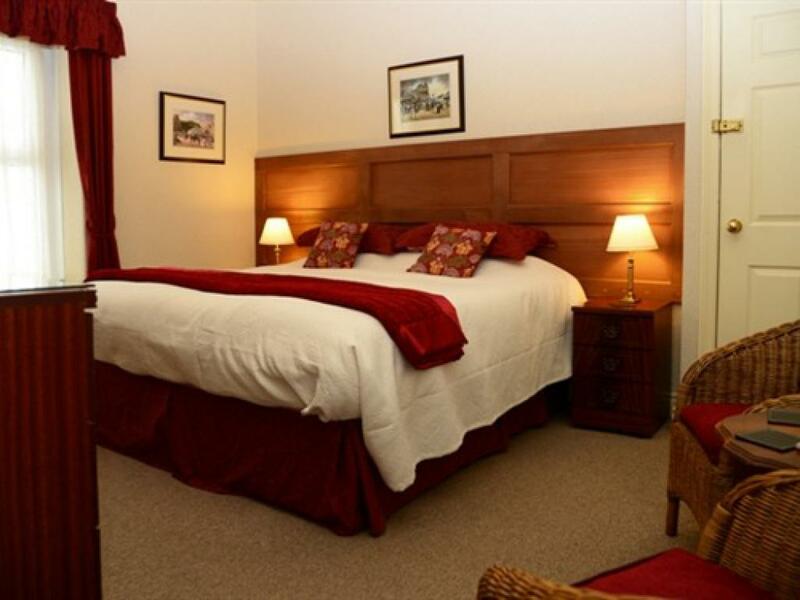 This room can be configured either as a double with a 6 foot (1m80) super king size double or as a twin with two 3 foot (0,90m) single beds - we usually configure as a double, but if you prefer the twin beds, please let us know when booking. 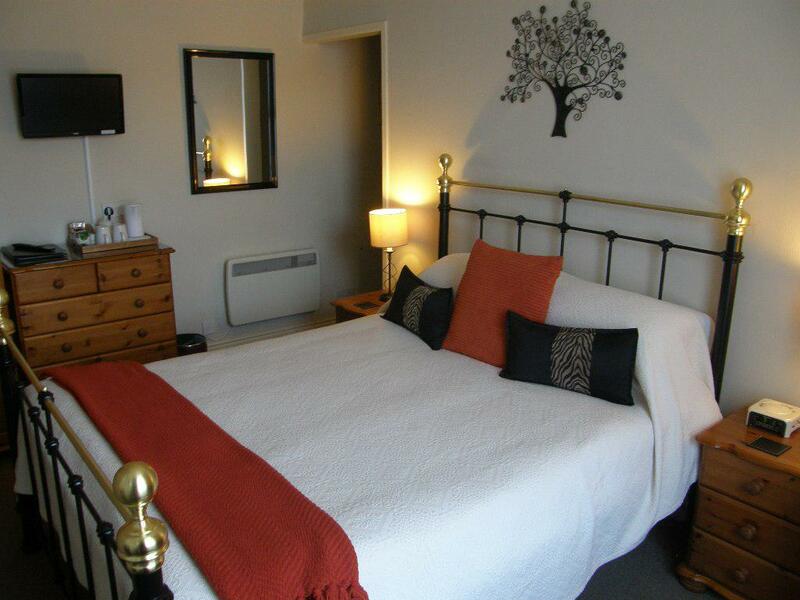 Comfortable double bedroom with en-suite shower room, on the first floor and approx 19,5m2. 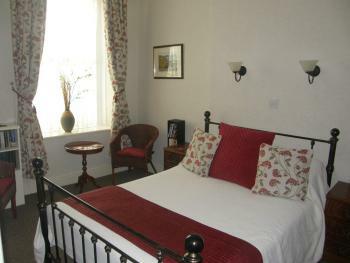 The room provides a king size double bed, flatscreen TV with DVD player, clock-radio, hairdryer, space heating, tea and coffee making facilities and chairs for relaxing. 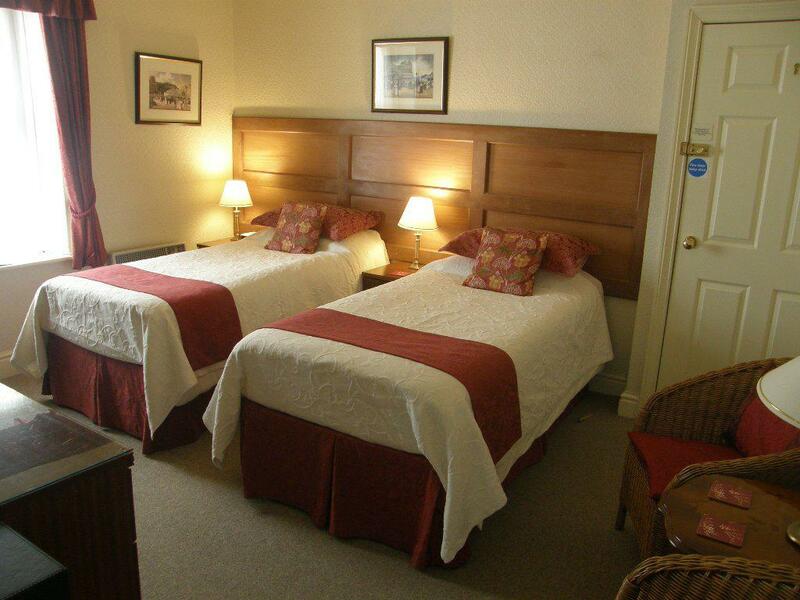 Complimentary wi-fi and toiletries are also provided. Comfortable double bedroom with en-suite shower room, on the second floor and approx 19,5m2. 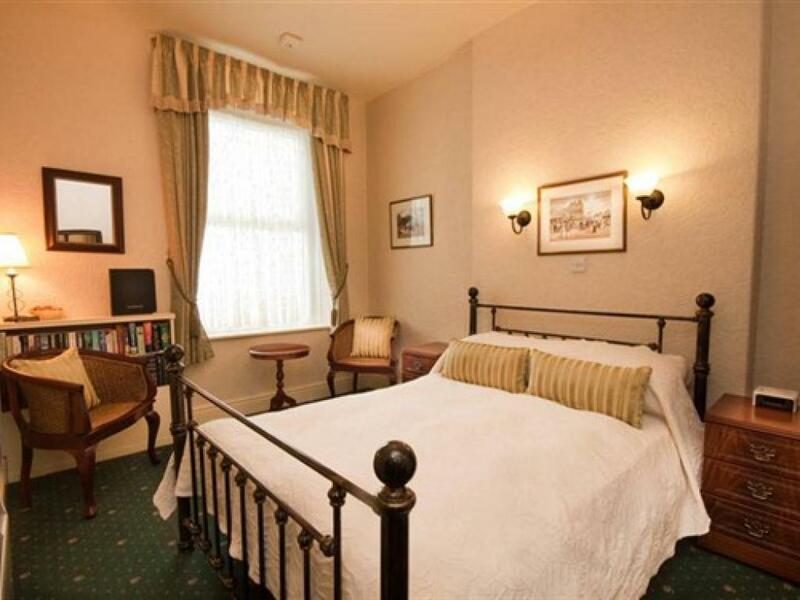 The room provides a king size double bed, a flatscreen TV with DVD player, clock-radio, hairdryer, space heating, tea and coffee making facilities and chairs for relaxing. 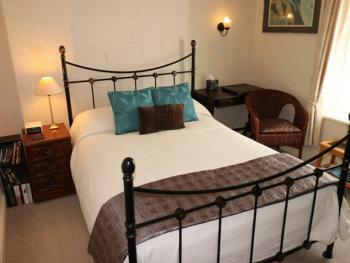 Complimentary wi-fi and toiletries are also provided. 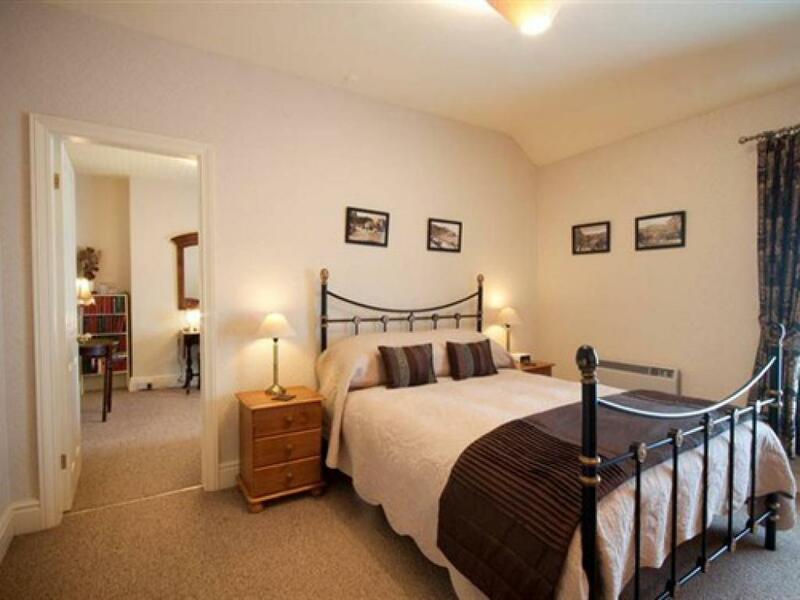 This spacious single room with en-suite is approx 16,5m2 and is on the second floor. 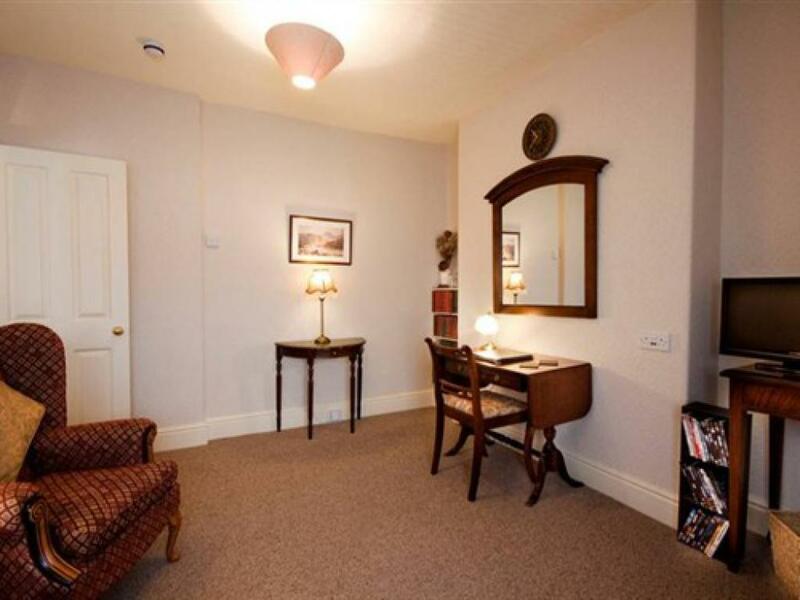 The room provides a writing table, armchair, flatscreen TV with DVD player, clock-radio, hairdryer, space heating and tea and coffee making facilities. 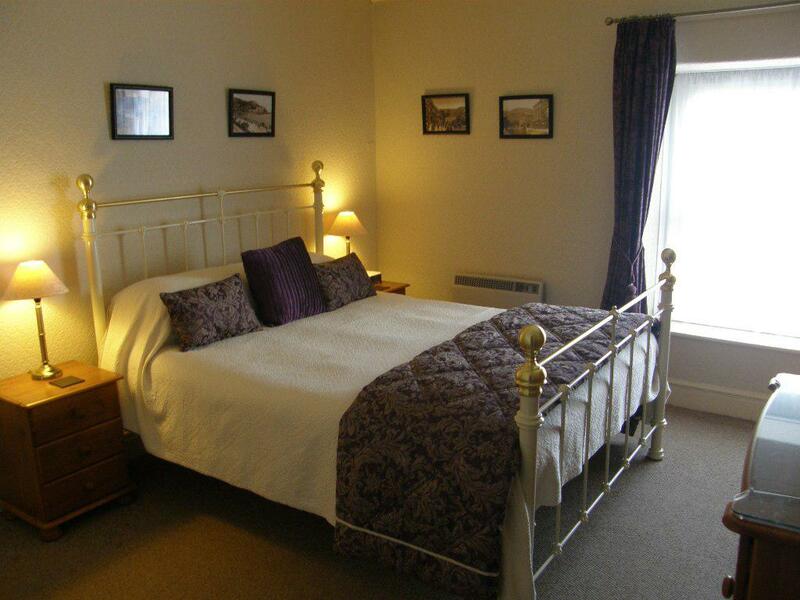 Complimentary wi-fi access and toiletries are also provided. 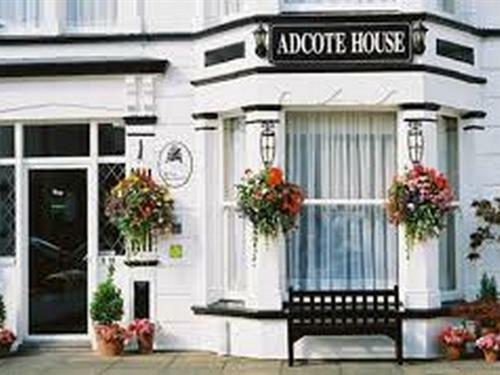 Adcote House 4 Star Bed & Breakfast offers high quality accommodation exclusively for adults with a choice of comfortable bedrooms and stylish suites. 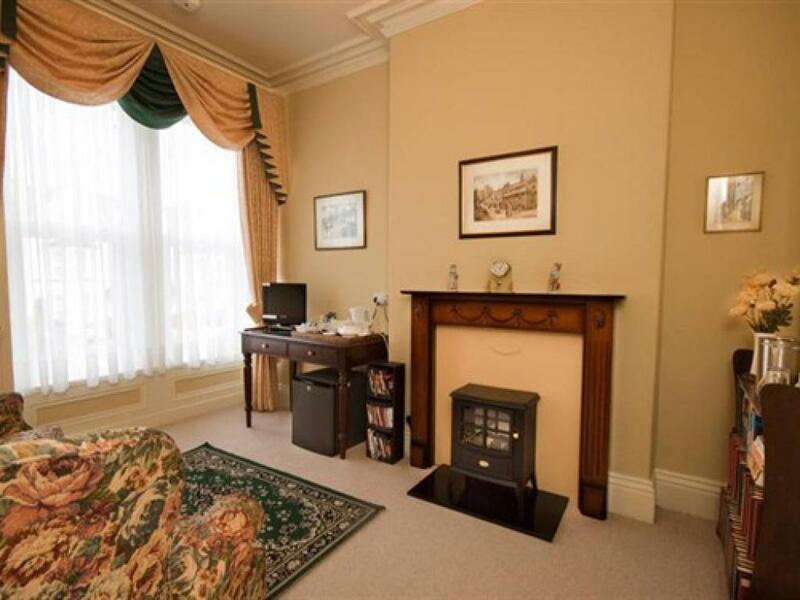 We are ideally situated in the heart of Llandudno within easy level walking of seafront, shops and amenities, so there is no need to use your car. 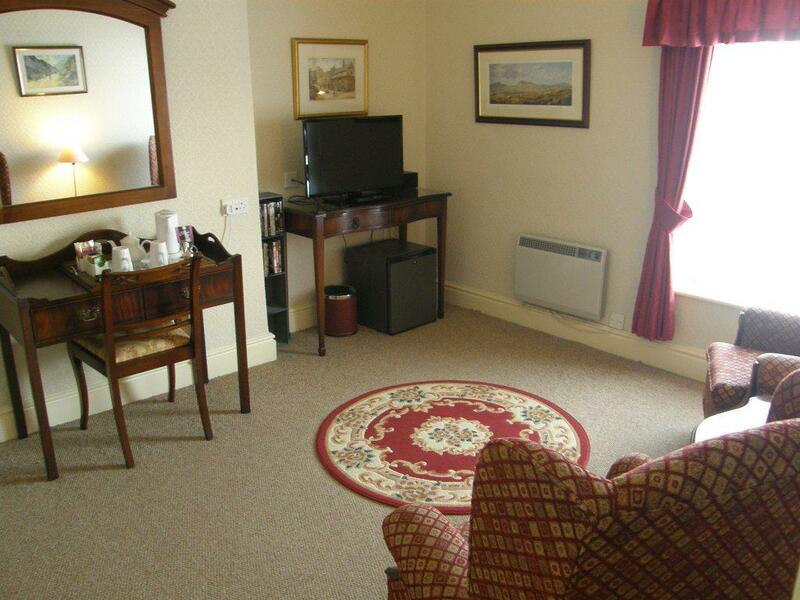 Just leave it on our car park for the duration of your stay and enjoy the wealth of nearby attractions. 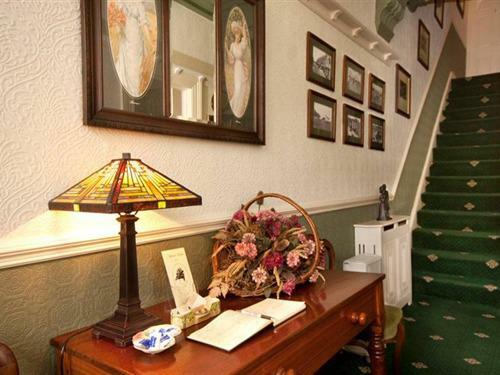 For the discerning guest Adcote House has created a period style to reflect the bygone era of the Victorian home, alongside contemporary facilities and amenities for your total comfort. 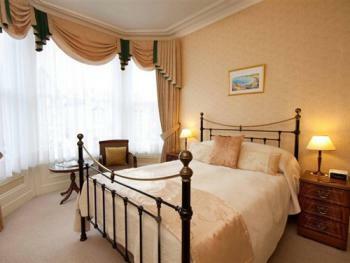 Whether suite or bedroom, all are ensuite, with special attention paid to detail and quality. A friendly welcome awaits and a warm atmosphere prevails in a relaxed environment. Many of our guests return year after year - why not give us a try - you will not be disappointed. Adcote House is also an ideal base if you are attending a conference or working on business. 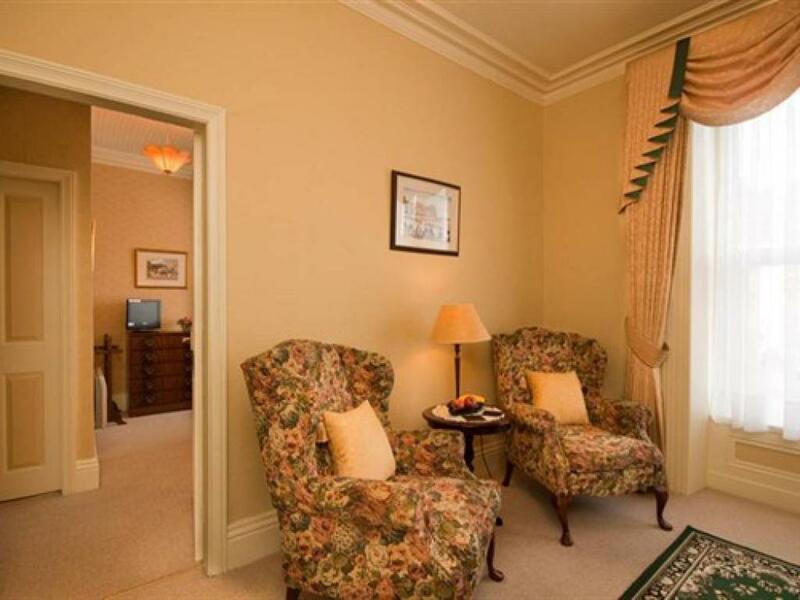 Our suites offer separate sitting rooms which are perfect extra space. 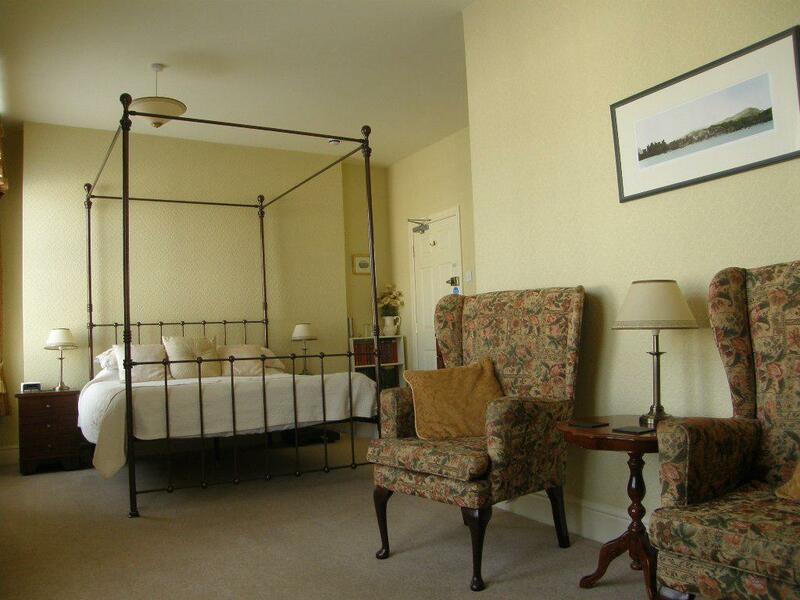 Adcote House and Llandudno are the perfect place from which to explore all that North Wales has to offer. 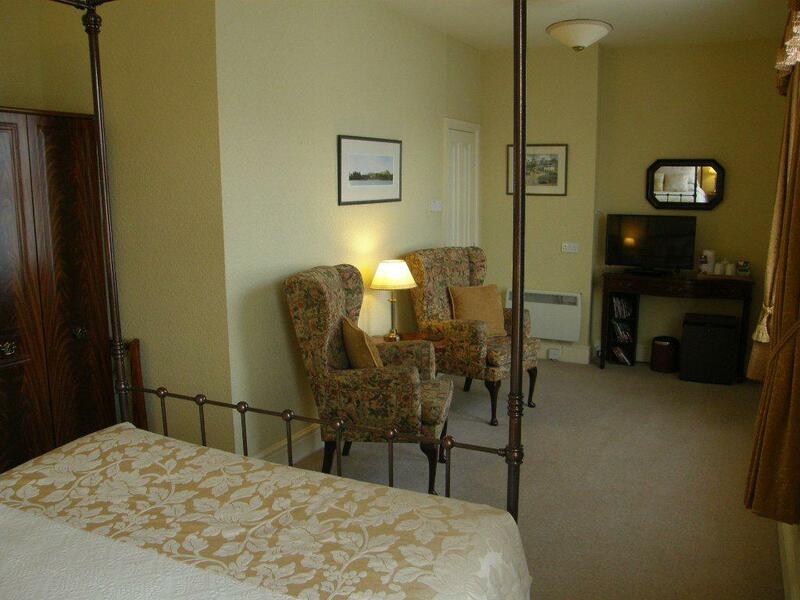 We are well situated for walkers and cyclists, with a host of routes to explore. On the edge of Snowdonia National Park, we are also within easy travelling distance of historic castles and wonderful towns like Conwy, Caernarfon, Chester and the island of Anglesey. A whole host of watersports and activities are available locally – just ask and we can sort things for you. Alternatively, catch a world-class show at Venue Cymru and make a break of your visit. During the year Llandudno has a range of events to enjoy including an airshow, Victorian Extravaganza, the Tour of Britain, the Wales Rally, a firework display and Christmas market. 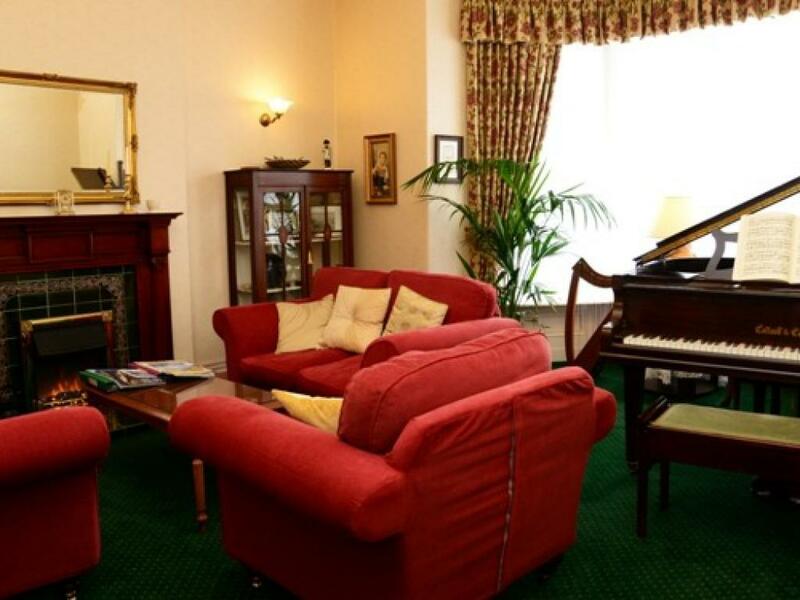 Or look out for our breaks when you can enjoy playing music or learning the piano. 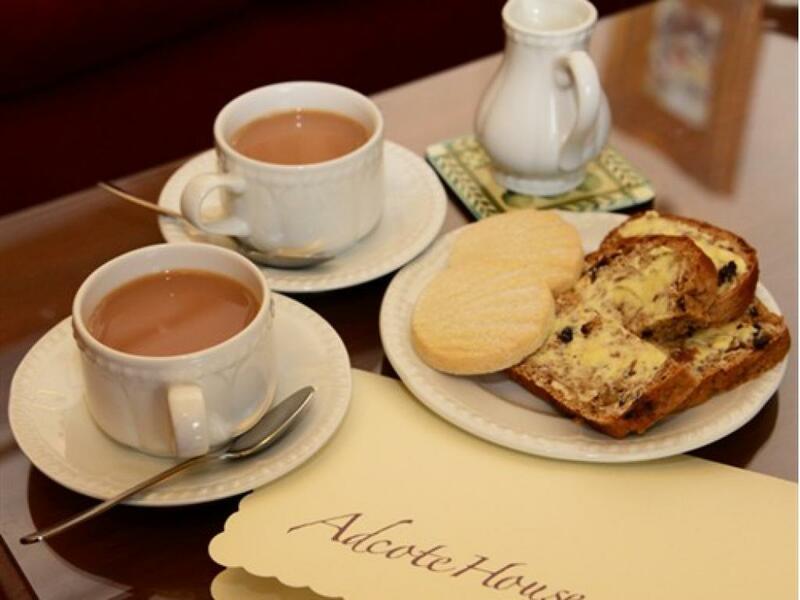 Whatever you want, you’ll find Adcote House is the place where you can truly unwind. Leave A55 at J19 and take 3rd exit for Llandudno (A470). After approx 5 miles, on approaching Llandudno, follow signs for sea front. 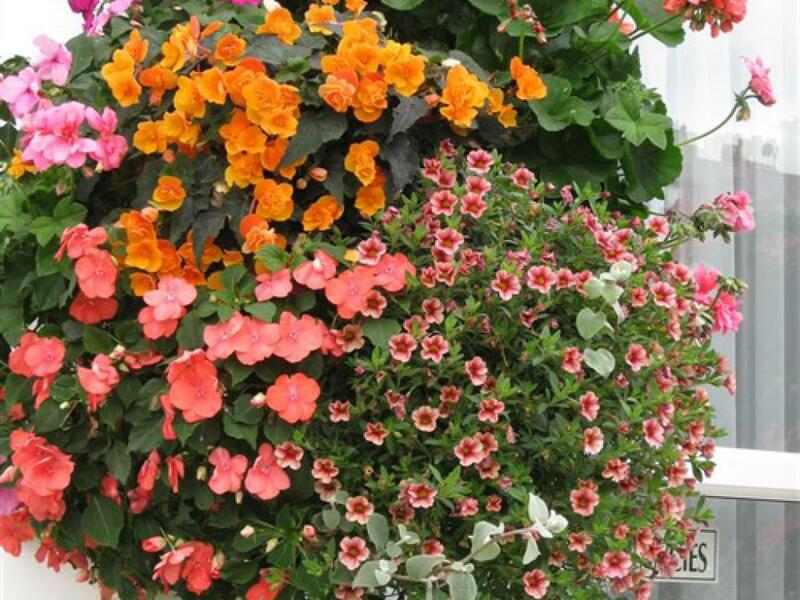 At the front turn left and follow promenade. On approaching cenotaph, turn left into Prince Edward Square. Continue over roundabout with clock, and across next mini-roundabout. Take next left into Deganwy Avenue where Adcote House is on the right. Turn left out of station and follow road. Cross at traffic lights and continue straight along until crossroads. Turn left and then take the next right into Deganwy Avenue. Adcote House is on the right.